Jo-Ann Eleby was born to James Eleby and Rosie Lee Clemons on March 22, 1946 in Chicago, IL. She is preceded in death by her father, brother, Garland Eleby and a nephew, Antwan Eleby. Her funeral service was held on Tuesday August 21, 2018 at 12:00 noon at Mt. Olive MB Church - in Middleton, Tn with Reverend James Williams in charge. Burial was in the Jordan cemetery and Dixie Funeral Home www.dixiefuneralhome.com was in charge of the professional service. She received her education in Chicago, Il. She attended IBM school in Harvey, IL in 1965. She later moved to Wisconsin, where she was apart of the Board of legal services and the Madison Urban Ministry. Then she moved to Tennessee where she joined the Bolivar- Hardeman County NAACP. In 2009, she obtained her GED, which she was very excited. 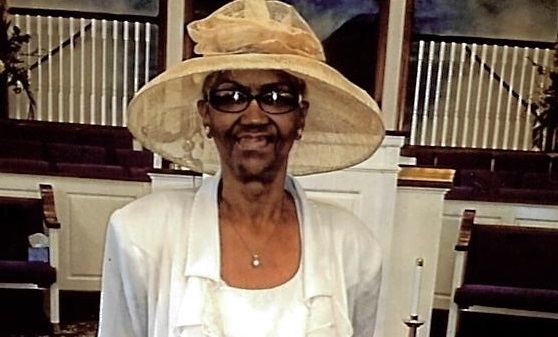 She joined Mount Olive MB Church un Middleton, TN where she was a faithful usher for many years. Then she later united with Mt. Pleasant Baptist Church in Pinson. Minister Eleby graduated from Disciples of Christian Education in 2015. She leaves to cherish her memories, her mother, Rosie Eleby of Chicago, IL; two sons: Maurice Eleby of Atlanta, GA and Bobby Eleby of Madison, WI; one daughter: Tona Eleby of Jackson, TN; six grandchildren, one great grand child, two sisters: Anita Eleby of Fridley, MN, and Retha Eleby of Chicago, IL; three brothers: Herman Eleby of Marquette, MI, Andrew Eleby and Leon Eleby of Chicago, IL and a host nieces, nephews, and other relatives and friends.